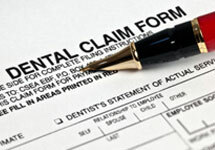 Dental insurance is intended to cover some, but not all, of the cost of your dental care. Most plans include a deductible and other expenses which must be paid by patient. If you have dental insurance, please bring your plan information with you to your first visit. We will work with you to assure that you receive the maximum benefits to which you are entitled. At the end of each visit you will receive all of the information necessary to file your insurance claim. If you have questions regarding your coverage, please ask a member of our business office staff and we will work with you to find the answers.